"Repeat Signage has made such a difference to the way drivers receive information, and we have also started a monthly photo competition". Australian bus company. 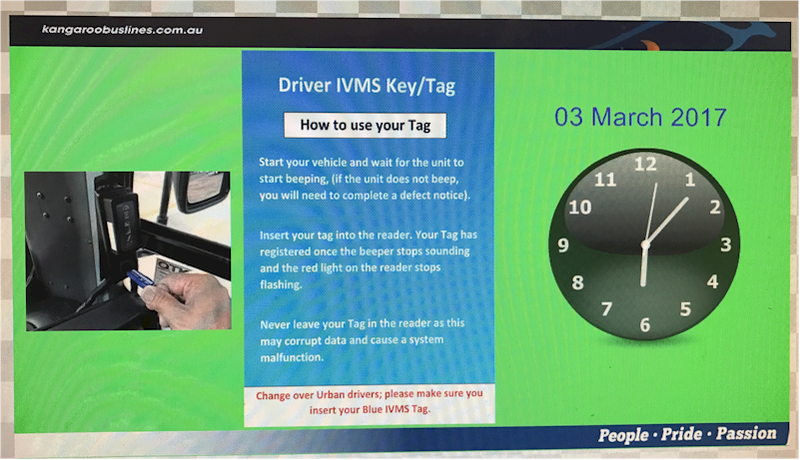 "Repeat Signage has made such a difference to the way drivers receive information, and we have also started a monthly photo competition. We also use it to remind them of where first aid is and fire and emergency evacuation procedures. Thank you once again, it is a great program." Greg Stone - Manager Compliance, Kangaroo Bus Lines. 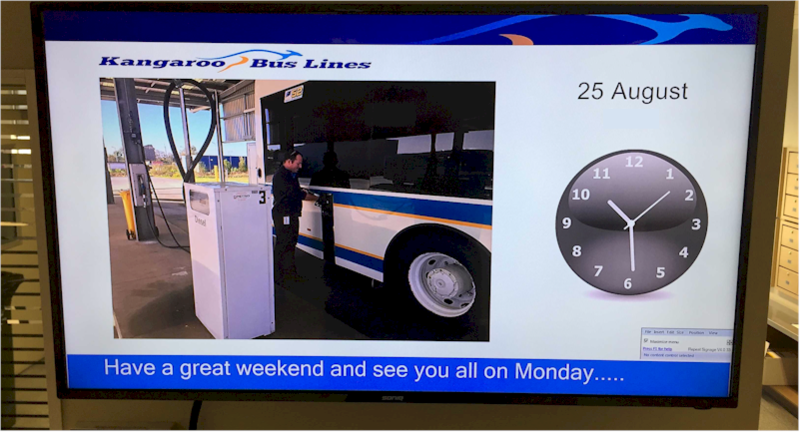 Greg Stone - Manager Compliance at Kangaroo Bus Lines, has been happily playing with Repeat Signage, inserting information for their drivers, setting up a monthly photo competition, and will no doubt, extend travel information to their customers too. Repeat Signage Standard edition is professional digital signage software for Windows. It is easy to use and you can create a presentation and have it playing in minutes. A playlist allows the scheduling of information at various times of the day or week and you can update content via local network, from a website or remotely over the Internet. Kangaroo Bus Lines has been delivering superior service and experiences to their clients for 35 years and counting. 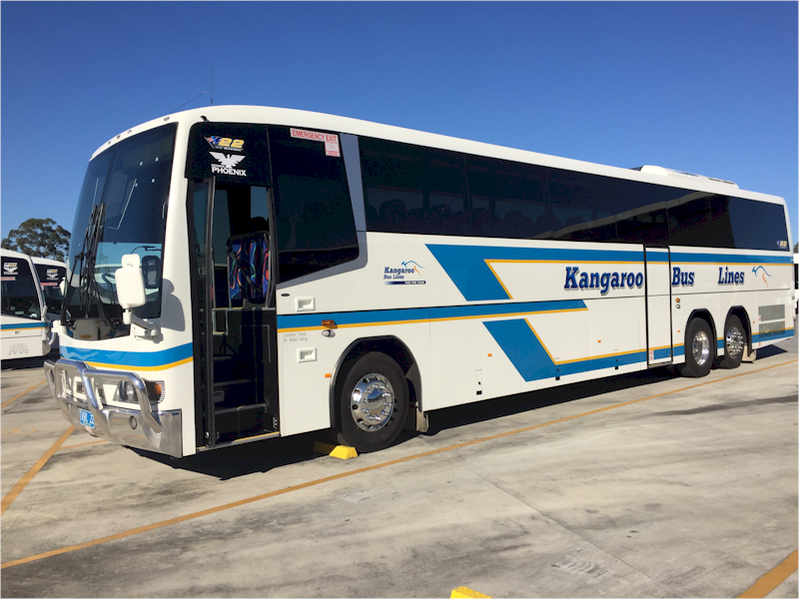 Established in 1978, this family owned and operated organization has experienced significant growth since their humble beginnings of six buses operated from a private residence servicing the Moreton Bay district. The past 35+ years has seen the organization evolve to encompass a wide range of transport solutions and experiences throughout the greater Queensland region and beyond. Today their head office is conveniently located just north of Brisbane between the CBD and Sunshine Coast and their purpose built facility is home to over 100 immaculately presented, modern vehicles, a state-of-the-art workshop and a passionate and dedicated team.